Whether you’re looking forward to the 4th of July as an excuse to paint your face and feel like a kid again, run around hauling the American flag and patriotic gear, or simply as a day to appreciate our country with loved ones, there is a place on Fort Lauderdale Beach for everyone. No work on Friday, means the 4th of July weekend starts on Thursday, and if there is one place you will want to be on July 2nd it is the F.A.M.E. kickoff and Fort Lauderdale Magazine Summer issue release party at Spazio, located at 239 S. Fort Lauderdale Beach Boulevard. The launch of the new summer series focuses on Food/Fashion, Art, Music and Entertainment will spotlight arts and entertainment events as well as culinary and beverage promotions. To get your first taste of FAME, RSVP via the homepage link on www.ItsBetterOntheBeach.com to receive a complimentary admission, light hors d’oeuvres and drink specials. Start your 4th of July celebration when the whistle bell blows Friday night at Friday Night Sound Waves. Set against the magnificent backdrop of Fort Lauderdale Beach, the Friday Night Sound Waves Summer Music Series takes place every Friday night from 5:30 – 8:30pm, June 5 through August 7, at the Fort Lauderdale Beach Hub located at Las Olas and A1A. Big Band Era Jazz Band, the Bobby Rodriquez Orchestra puts the DANCE in Independence weekend when they take over The Fort Lauderdale Beach Hub on Friday July 3. Featuring a repertoire of Contemporary Jazz, Latin Jazz, Bebop, and Swing, come swing under the swaying palms and amidst the summer’s ocean breezes. View details. The Fourth of July Spectacular on Fort Lauderdale Beach off AIA and Las Olas Boulevard will begin at noon with music, games, and contests. 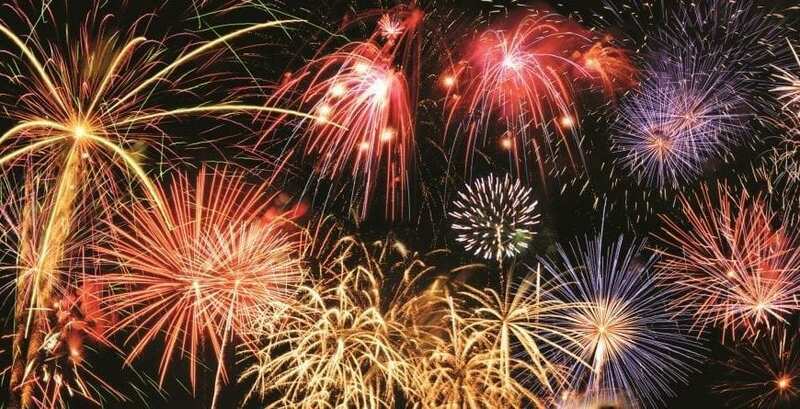 The fireworks show over the Atlantic Ocean simulcast with music on 101.5 LITE FM will take off at 9 p.m. View the event page for complete details and tips on getting to and from the beach. Celebrate 4th of July seaside and in-style as BalQony at Hilton Fort Lauderdale Beach Resort hosts an Independence Day party unlike any other in Fort Lauderdale. Enjoy the best view on the beach and a complimentary champagne toast as the fireworks light up the sky and ignite the night, all while partying under the stars on the scenic fourth floor lounge terrace surrounded by endless view of the Atlantic. Attendees will enjoy mouthwatering barbecue samplings and signature patriotic drinks as a guest DJ spins non-stop beats on the open-air rotunda. View details. Join S3 at the Hilton Fort Lauderdale Beach Resort for lunch, dinner and drinks while they celebrate Independence Day with a fireworks display over Fort Lauderdale Beach. Limited firepit reservations available by calling 954.523.SURF. The party continues through Sunday with an Old American BBQ Pig Roast from 11am until it’s gone. Price is $28.95 per person and includes Sides. Regular Sunday Brunch Menu will also be served! Sparks will fly and champagne will flow at Spazio Italian Restaurant & Wine Lounge on the 4th of July with a complimentary Moet Ice Imperial Tasting from 5pm – 7pm. Stay for dinner and enjoy a front row seat for the 4th of July Spectacular and Fireworks on Fort Lauderdale Beach. View details. Celebrate the 4th of July with a weekend filled of fun activities and entertainment that the entire family will enjoy when you book a stay at The Ritz-Carlton Fort Lauderdale . Relax with holiday themed treatments, unwind as you explore savory spirits at Via Luna Bar, or let your little ones participate in our poolside kid activities. View complete details. Others may have hot dog eating contests, but when you are a Philly Bar in a South Florida World, you have Cheesesteak Eating contests. Join the Parrot Lounge peeps at the 6th Annual Mini-Cheesesteak Eating Contest Sat. July 4 at 5pm. They do things the old fashioned way here – so belly up your $3.00 and stop by the bar to sign up. Call (954) 563-1493 for more information. Come kick back and relax at the World Famous Bahia Cabana Waterfront Restaurant & Patio Bar overlooking the yacht filled docks lining the intracoastal waterway this 4th of July. Famous for their BBQ Baby Back Ribs, Fish Tacos and Signature Fish Sandwiches, you can wash it all down with a cold Beer, glass of wine, frozen cocktail or drink of choice from our full service bar. There will be live music Friday – Sunday and fabulous drink specials as well. You don’t make the Top 12 List of Best Happy Hours in America if you didn’t offer something special – and Happy Hour at the Wreck Bar located inside the B Ocean Resort doe just that. The Wreck Bar in Fort Lauderdale simulates being underwater by surrounding the bar with windows to the hotel’s outdoor pool. Every Friday at 6:30pm there’s a live mermaid show with real mermaids (yes they are real) swimming around entertaining the guests at the bar. Take that Vegas!